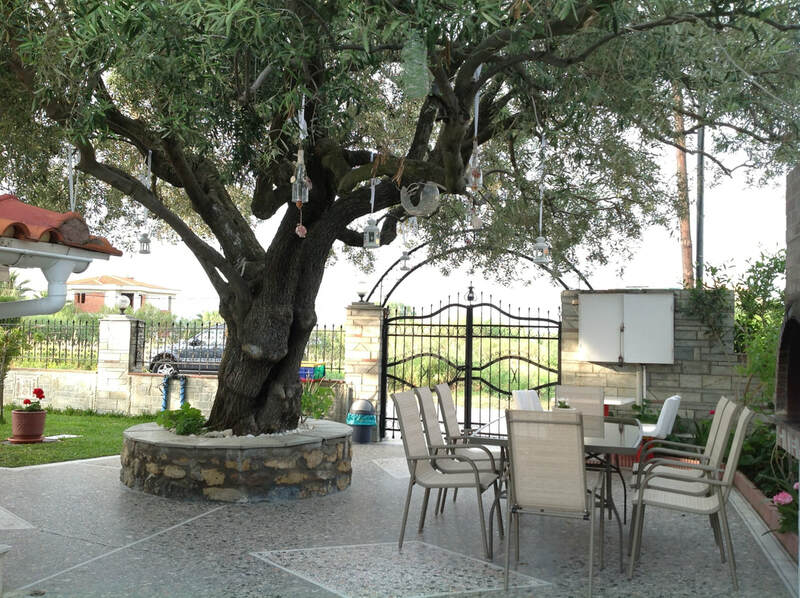 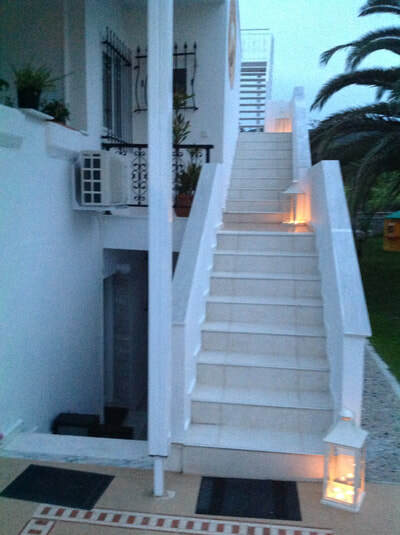 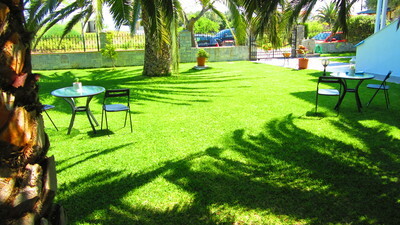 ​Walking around our house you will find a spacious and fenced parking with 7 places, a barbeque and a traditional brick oven next to our enormous olive oil tree kiosk, an enclosed shower, where you can choose either to have a warm bath, or to have a refreshing bath with water from the natural spring water which is coming direct from the mountain, and 2 outdoor showers (hot water or natural spring water). We also offer immediate and FREE pediatrician for pediatric and pathological cases. 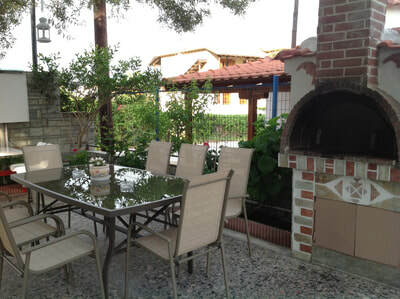 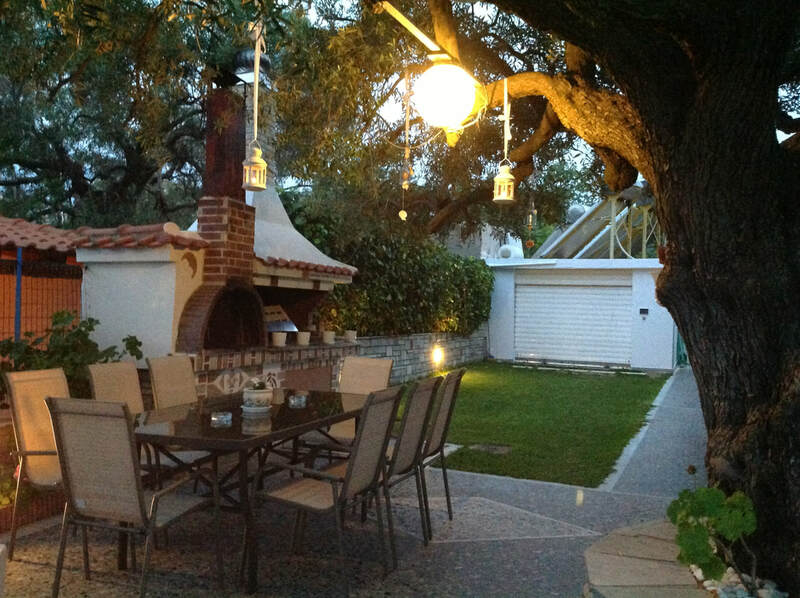 The barbeque and the stone oven are for your own use. 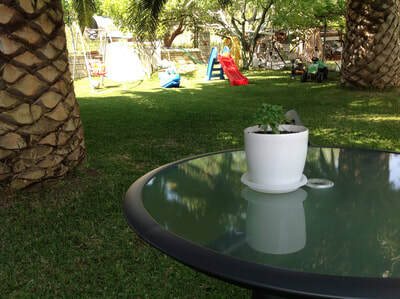 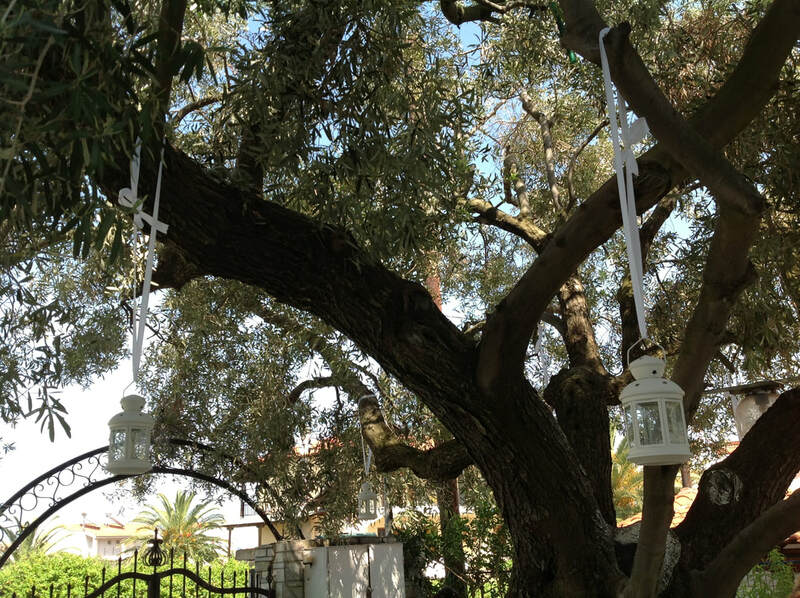 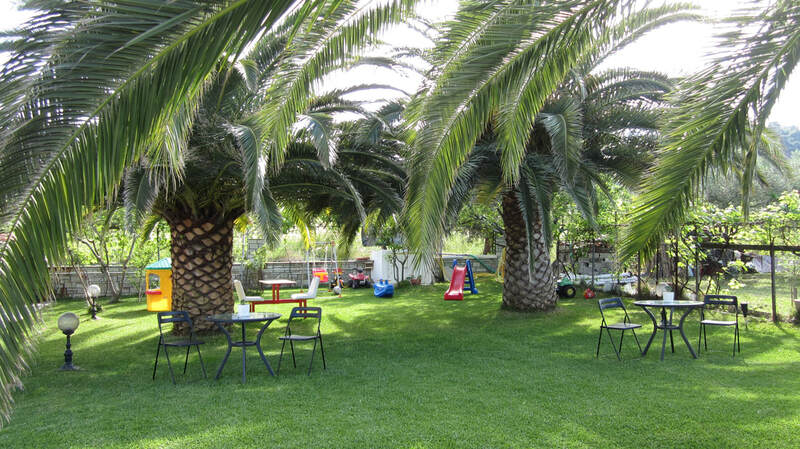 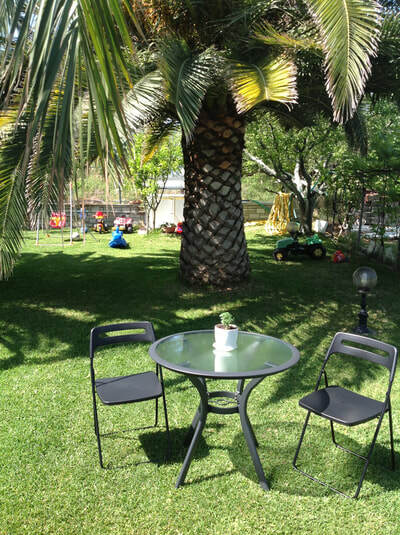 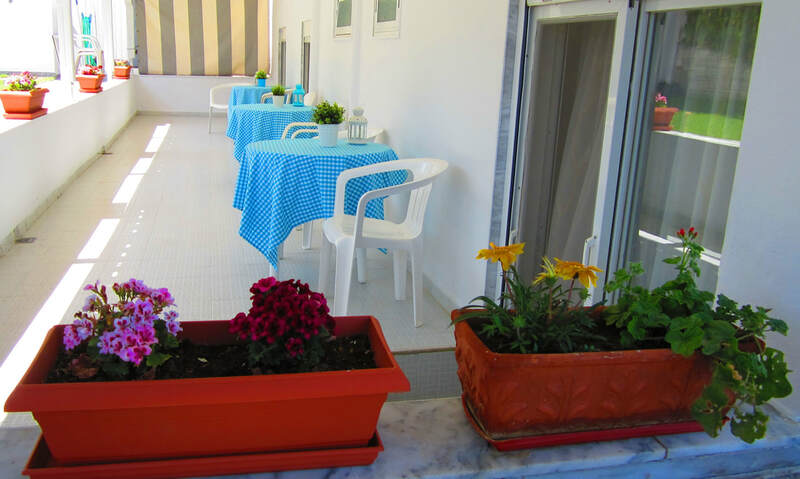 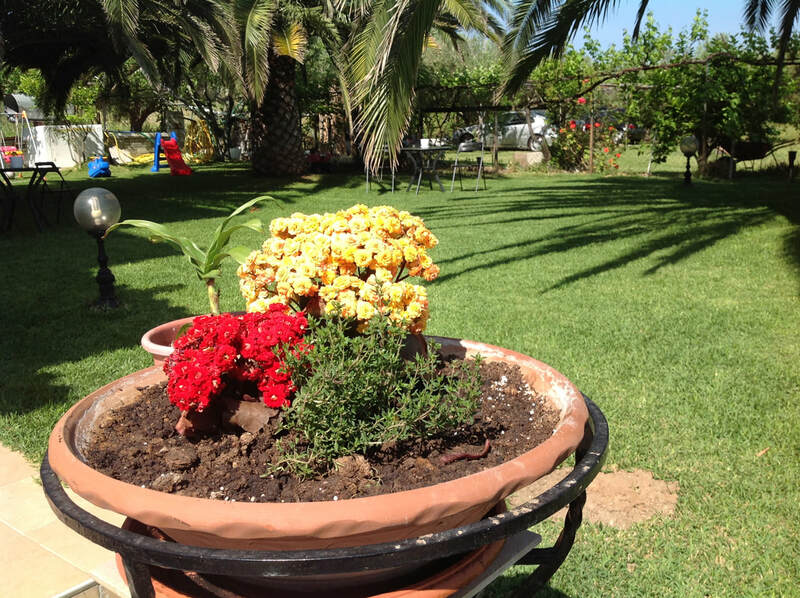 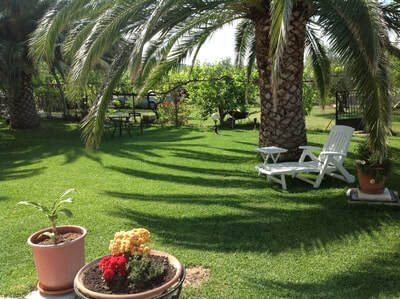 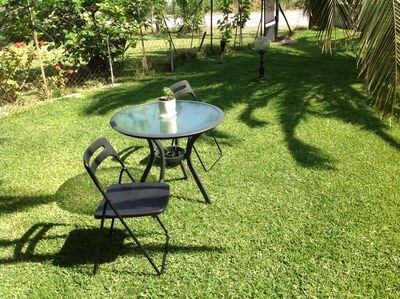 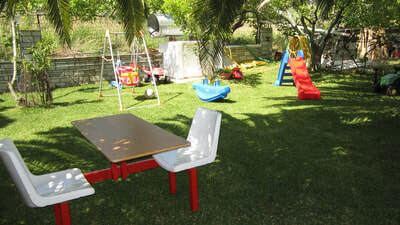 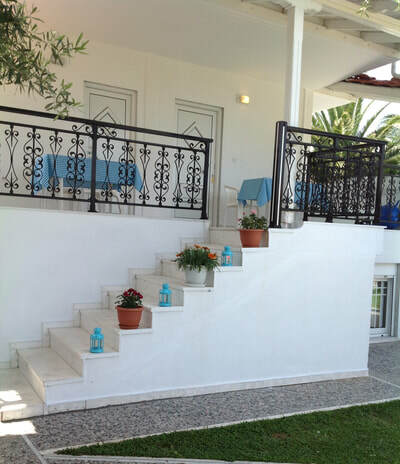 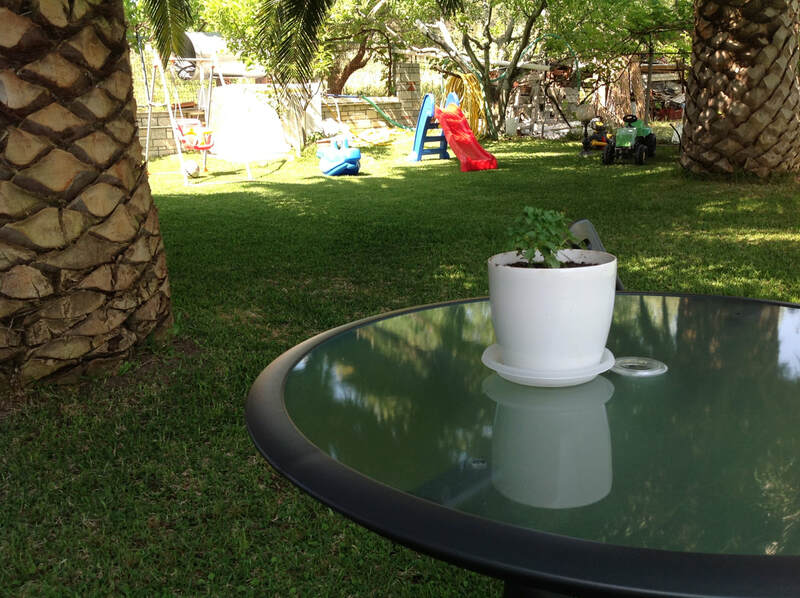 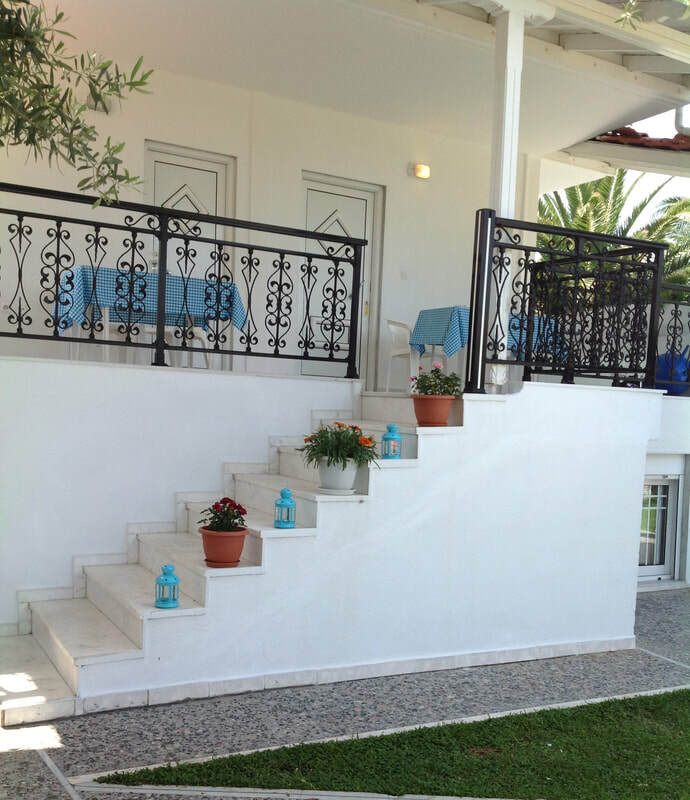 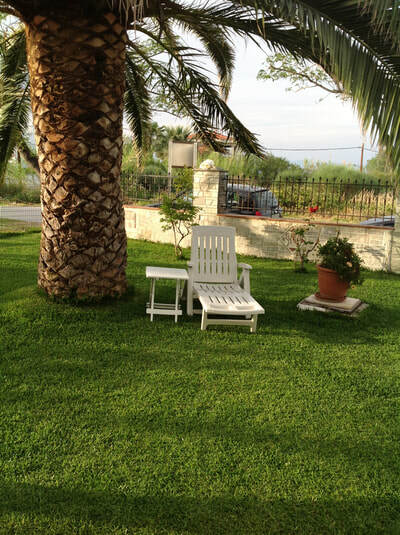 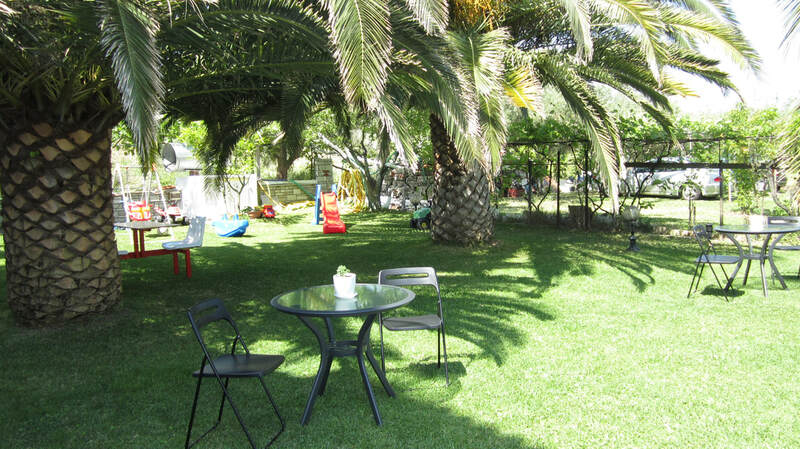 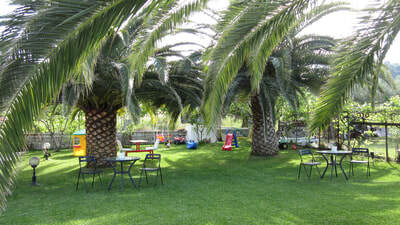 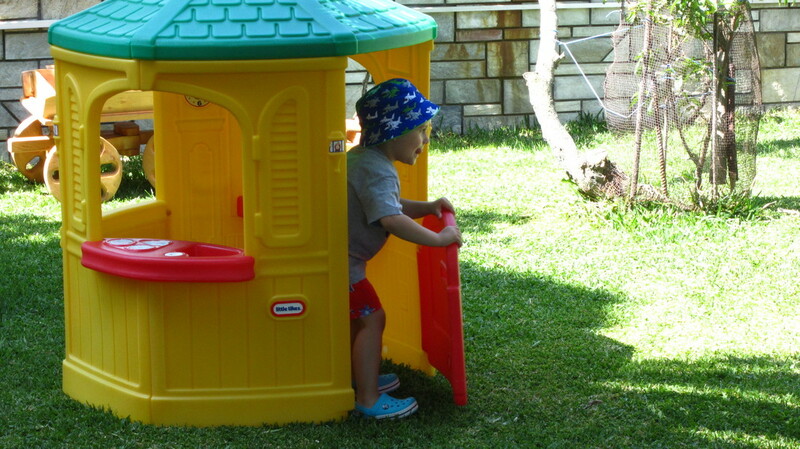 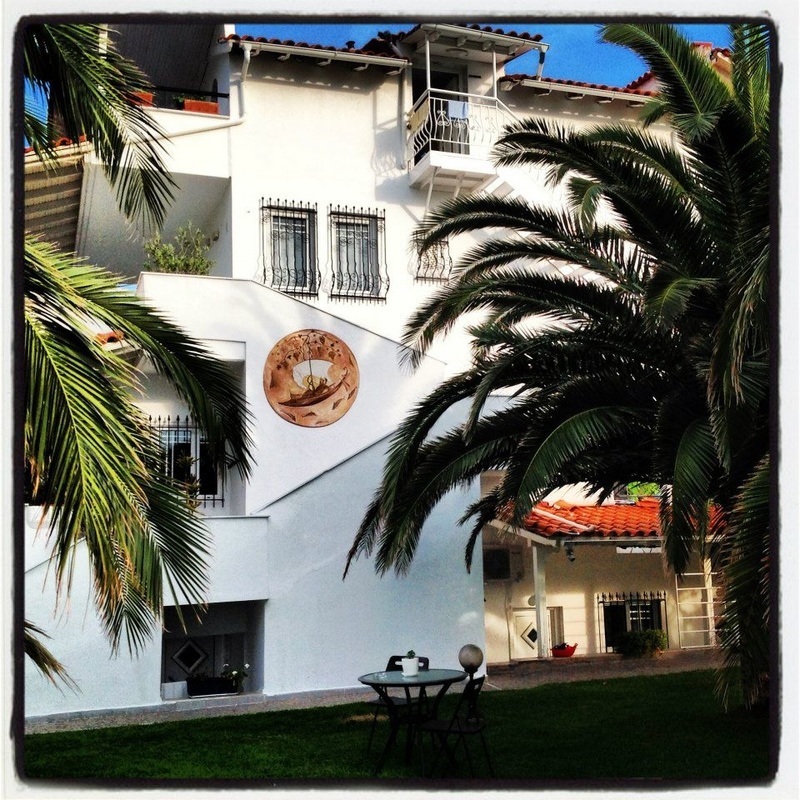 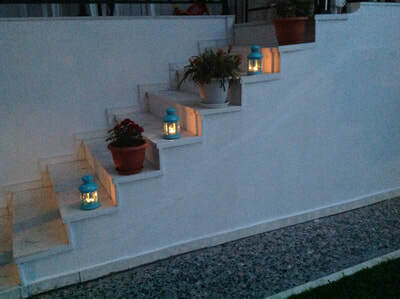 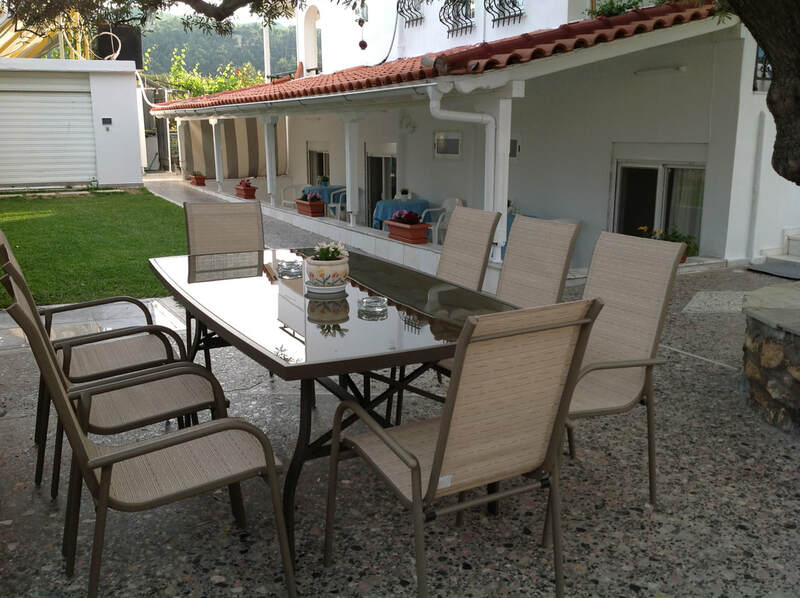 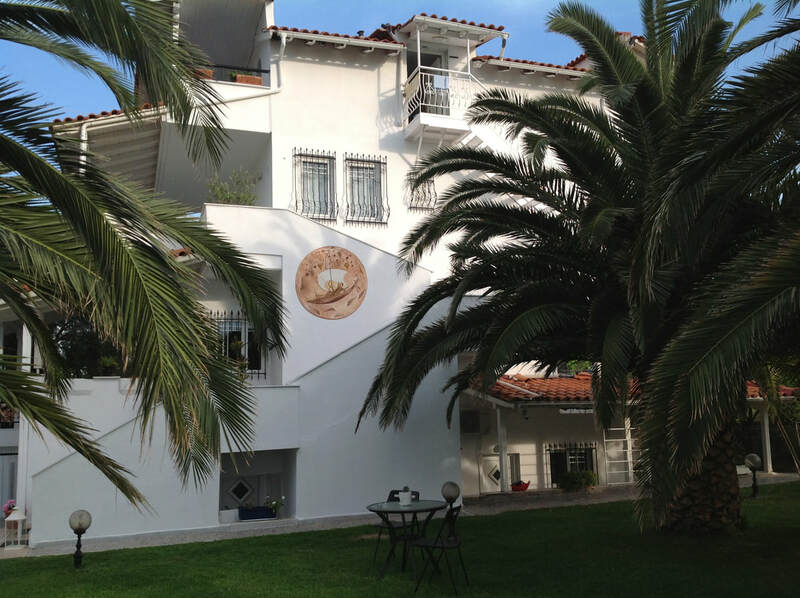 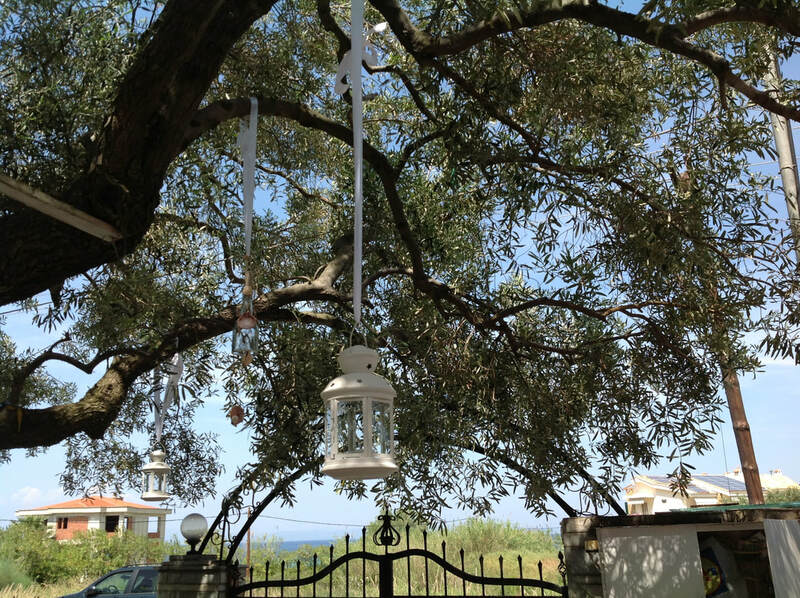 Grass fields have sunbeds, pic-nic tables, kids toys and you are welcome to explore all the surroundings of our property! 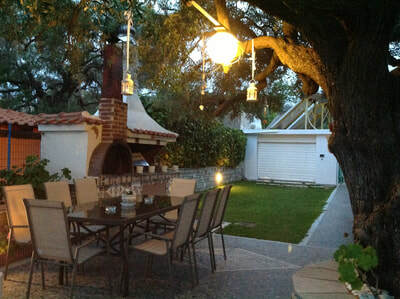 ​And as we say to all of our guests... we love to treat all of our guests like friends & family!